Wealth in feng shui comes in the form of abundance and money. There are several things you can do to attract wealth into your life using specific feng shui principles. 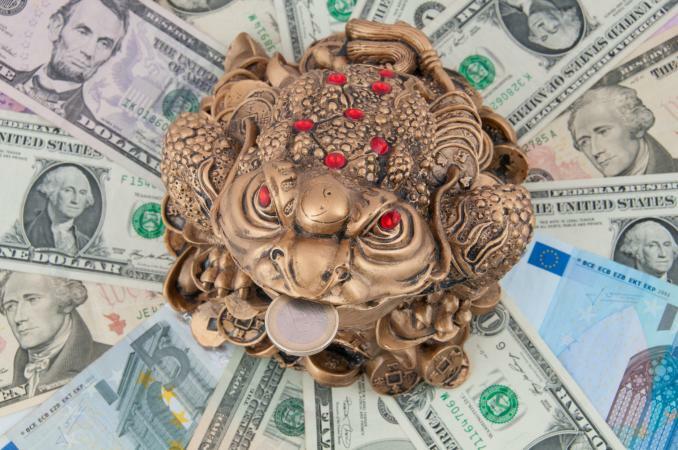 Sheng chi is the auspicious direction for wealth luck. This compass direction is where wealth comes to you. By using a few feng shui tools, you can locate your personal wealth and prosperity luck direction. Once you activate this sector in your home and/or office, wealth will be attracted to enter your life. Using the kua number formula, you can calculate your kua number. Once you have your number, you can quickly find your sheng chi direction. Position your desk so you face your sheng chi direction when working. Stand or sit facing this direction whenever negotiating, interviewing for a job or promotion, or conducting a class or presentation. Sleep with your head pointed in this direction. When eating, sit facing this direction. The dining room is an important room for attracting abundance into your life. This often comes in the form of wealth. There are a few things you can do that will enhance the chi energy in this sector and bring greater wealth into your life. Hang a large mirror on one dining room wall so that it reflects the table. This will double the amount of food on your table during meals and acts as a stimulate to bring twice your current abundance. Make sure your mirror is big enough so it doesn't cut off the heads of those sitting at the table. Set a bowl of garlic as a dining table centerpiece to accumulate wealth. This can be any type of bowl. The garlic doesn't need to be real. You can select any imitation garlic. Gold-colored garlic is also a great choice. Select an area in your dining room to display the three star gods, Fuk, Luk and Sau. They represent health, wealth, and prosperity for the entire family. The compass direction southeast is the sector for wealth. You can do a few things to ensure you are taking advantage of this energy to its fullest. 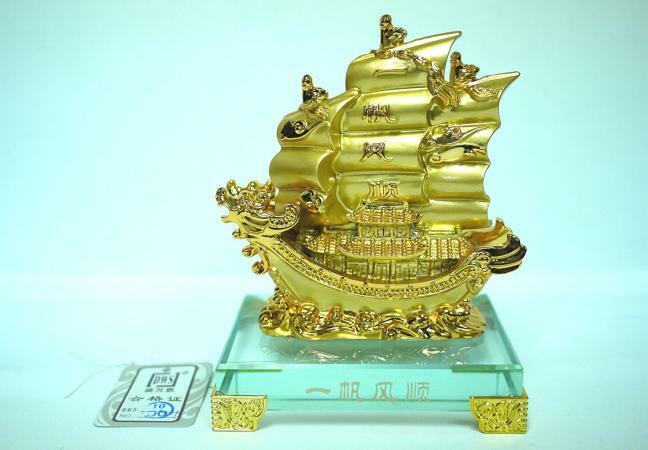 Set a wealth ship filled with faux gold bars, coins, ingots and diamonds. Place your ship so that it is sailing into your home, never out. Avoid selecting a warship, instead go for a sailboat or a ship that doesn't carry weapons like cannons, these are considered poison arrows. Use the wood feng shui element for this sector to attract greater wealth into your life. Add wood furniture, wood decorative objects and art object. Place a few plants in this sector. Be sure the leaves aren't sharp or pointed (create poison arrows). Many people prefer at least one Chinese jade plant and other succulents. Only keep healthy plants, remove dead leaves or blooms and replace dying plants with healthy ones. Add a water fountain to this sector to feed the wood element. A tabletop water fountain can be placed in an office or living room. Avoid adding to a kitchen or bedroom. The water should always flow into the room and never toward a door. You may prefer to use an aquarium for the water feature. For the best results, use feng shui rules on the number and color of fish. 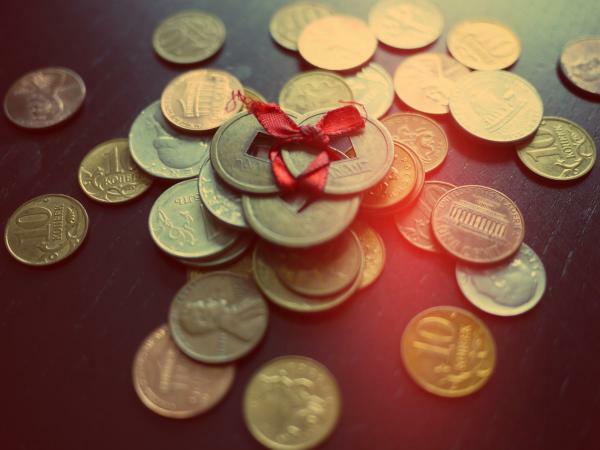 Six Chinese coins tied with a red ribbon can be placed on a table or desk. Color is another way to represent both wood and water. The colors you may wish to use include blue, green, and brown. While the north sector governs career, many people look to their earnings for their main wealth. You can enhance this sector with several feng shui principals and objects. The element for the north is water. To stimulate this sector for career success and subsequently enhance your earning potential and wealth, you can add a water element. Keep the water feature, either a tabletop water fountain or aquarium in proportion to your room. Too much water will drown you career and earning possibilities. As with all thing feng shui, balance is key. You can also add metal to this room since the metal element attracts water. Use metal objects, such as wall art or furniture. Avoid sharp and pointed metal objects since these create poison arrows. Another room in your home that is auspicious for attracting wealth is the living room or den. This room is typically full of activity for the family that create a great deal of yang energy. You can take advantage of the yang energy by adding an object to your living room that's known to attract wealth luck. A wealth bowl is a well-known tool for attracting great wealth. You'll want to fill a bowl with money, coins, jewels, diamonds and gold ingots. You can use faux gold, diamonds and jewels. Use real coins when possible as well as a few paper bills in various denominators. Place your bowl on a coffee table for the best result although you can place it on a console table or bookcase shelf. The more open the space is, the more wealth luck it will generate. The three legged toad is a highly prized wealth symbol in feng shui. It sits on a pile of gold ingots and features a gold coin in its mouth. This feng shui symbol is often used in home offices, set in the southeast corner of the desk facing toward you when sitting at the desk. Another excellent placement is on a table diagonally across from the front door. Be sure the toad is facing into your room or home and never toward the door or your wealth is rush right out of your home. One of the most obvious places for money is your purse. There are a couple of Chinese symbols that are feng shui cures which you can place in your purse to attract greater wealth. Authentic Imperial China coins have square hole in the center. The symbol of the round coin with a square cutout hole is the unity of heaven and earth. Keep three coins tied with a red ribbon, with yang side up on each coin (four characters) yin side (two characters). Keep the coins inside your purse. Chinese red envelopes are also used to attract wealth. These come in various decorative symbols that represent blessings, prosperity and wishes for good fortune. The envelopes come sealed and contain one coin inside. Place one of the envelopes in your purse and/or wallet to attract wealth. When you utilize specific feng shui principals and cures, you can attract wealth and abundance. Choose a couple of these tips and try for yourself. Be sure not to overdo with cures, remedies or enhancements. Balance should always be your driving feng shui guideline when applying cures or remedies.